If you’ve never eaten Thai food before, then you’ve missed a thoroughly enjoyable experience. I still remember the first time my best friend took me to a Thai restaurant, and how I marvelled at such an amazing world of flavours. It can be hard to replicate the taste and atmosphere of a great Thai restaurant at home though. So when I was asked to review a Red Thai Curry Kit from The Thai Curry Company I was more than happy to accept. Externally the kit looks great, it has a quality design and very clear instructions on the back of the box. It tells you several ways to use the contents. But we went for the standard chicken option. 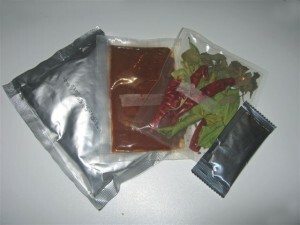 The box contains 4 pre-weighed packets of dried coconut cream powder, herbs, curry paste and fish sauce. 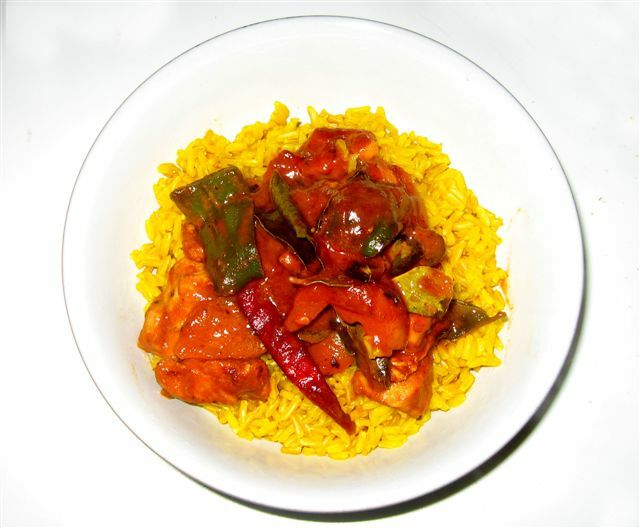 Cooking is an absolute snap; first you fry the curry paste, how much you use depends on how hot you would like your curry. Then add your meat, then water and coconut and finally the vegetables and herbs. The fish sauce is added at the very end to taste. The packet gives details of a Thai omelette that goes very well with the curry, but in the end we decided to go with the more normal rice option. We did make one mistake here, I didn’t notice the tips on picking the heat of the curry. Consequently I didn’t relay this to my husband who was following my instructions. So we ended up making the hottest option. We both had a wide eyed ‘Uh-Oh’ moment as we started to serve it up for ourselves and the kids! Thankfully the hottest option does have heat, but it doesn’t sacrifice it’s flavour for the sake of it. Served with ample rice every member of our family not only ate, but enjoyed the Red Thai Curry. In fact the youngest member of our tribe couldn’t seem to get enough. I not only recommend this product here, but have been recommending it to all my friends offline. The flavour produced by this little kit is so authentic and delicious, I honestly can’t stop raving about it. It’s a true restaurant experience at home, but without the cost. It’s also incredibly quick and simple, literally just pour in the ingredients included. The only part I puzzled over was the addition of the herbs/chillies. At no point did the instructions say whether we had to remove these upon completion. I’m still not totally sure if the leaves are completely edible. It would be nice if the packet clarified if these should be removed or left in. 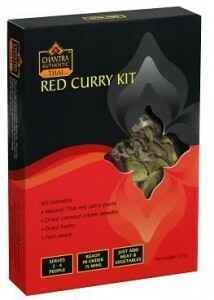 The Red Thai Curry Kit has an RRP of £3.29 and can be ordered directly from The Thai Curry Company webstore. 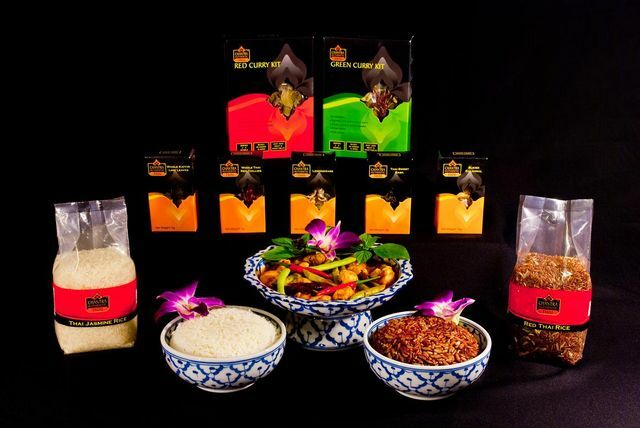 They also sell Thai Rice and Thai Herbs. A quick visit to the ‘Stockists’ page gives details of alternate local and online retailers.